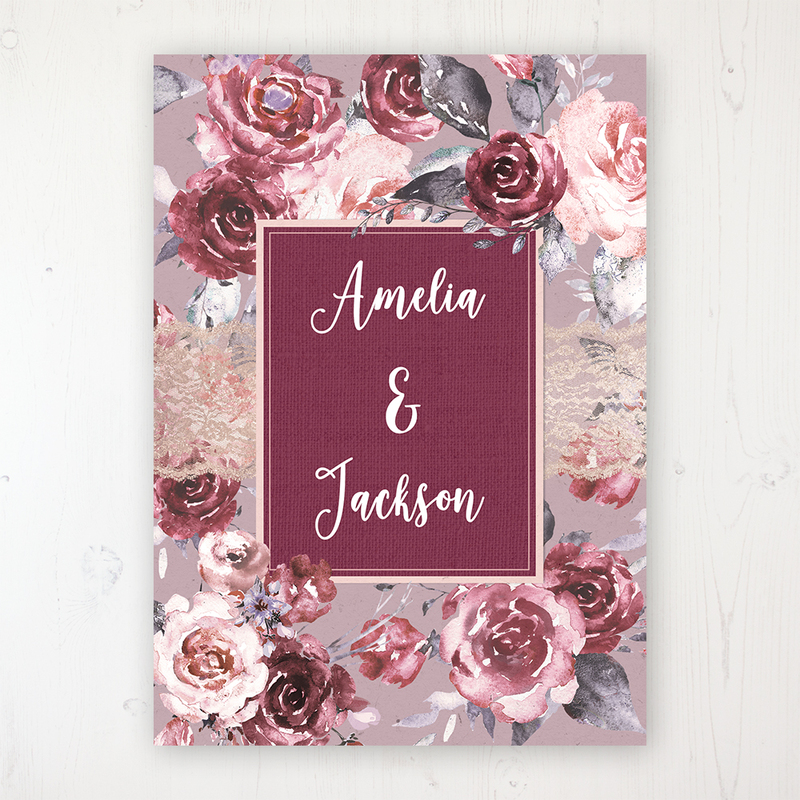 Wedding invitation sample pack including an RSVP, info card, envelopes and label with your choice of finishing option in the Bordeaux Vineyard Collection design. 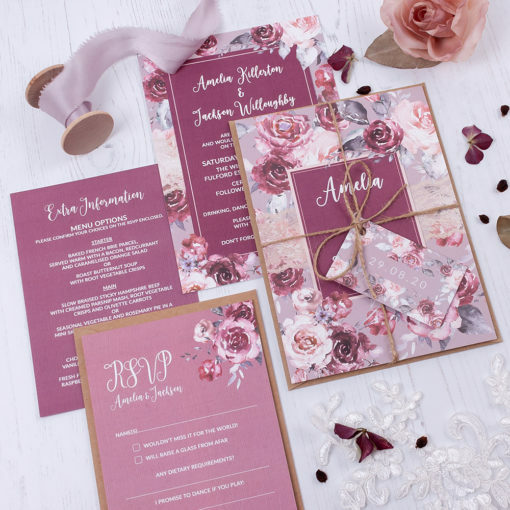 The rich tones of burgundy and maroon amidst soft peach and dusky rose with a touch of elegant gold lace gives this collection an opulent and sophisticated feel. 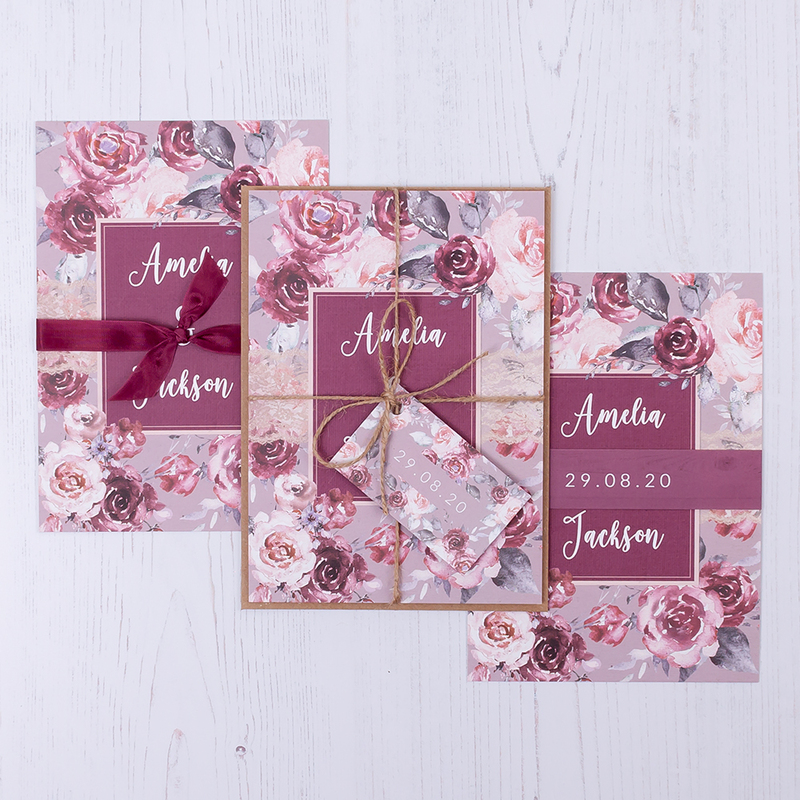 Great for stylish Autumn and Winter weddings with its rich refined tones.